Designed to be Compact, small in size. Easy to carry around for your outings. 1. With the simple exterior, soft and comfortable touch, and precious cutting inner mesh pouch. 2. Waterproof and scratch resistance, hard shell and custom foam ensure your spark to stay safe when transport. 3. 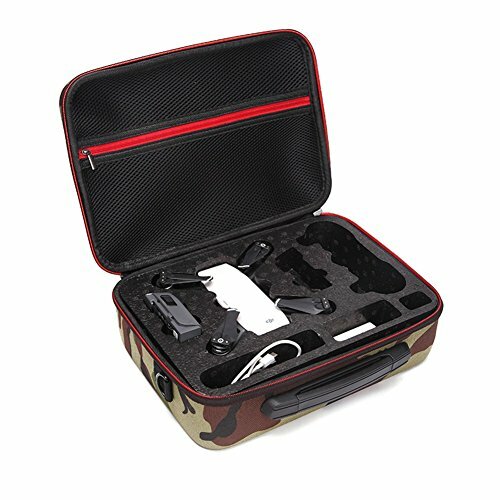 A portable and lightweight case, easy to carry. QEES is committed to 100% Satisfaction and 90 Days Guarantee for our Customers.So any problem, Feel Free to contact us for Refund or Replacement. No Questions Asked! Our Friendly Service - 24 hours email customer service response. GUARANTEED SATISFACTION: If you are not 100% happy with QEES Travel Spark Drone Case, Feel Free to contact us for Refund or Replacement. No Questions Asked!